New software which can communicate and automatically control the cable engine and the DP system of cable laying vessels is being developed on the best-in-class cable deployment control software MakaiLay. This software takes advantage of the new generation of installation hardware equipped with digital I/O mechanisms that make easier to use their measurements in real-time and to automatically control their operation. 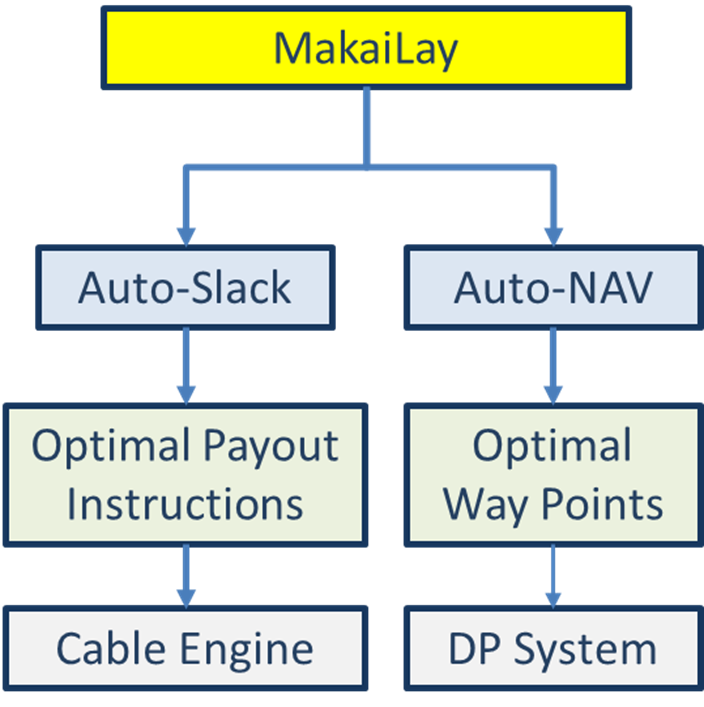 Smart algorithms are used in Makai’s Auto-Slack and Auto-NAV software to generate the next optimal sequence of instructions that the cable engine and the vessel DP should follow to accurately install the submarine cable with the target bottom tension/slack and along the desired route. “Cable owners, installers and other industry partners are already showing interest in these new smart automated tools for new vessels that are currently being built as a means to lower costs and improve the quality of their projects,” said Dr. Venkata Jasti, Manager of Submarine Cable Systems group, Makai Ocean Engineering, Inc. “We anticipate that most of the existing vessels will also adopt these tools in the next few years”. Smart software tools are also being added to the most used route engineering software in the world, MakaiPlan, to automate processes and check for errors in some of the repetitive and tedious tasks that route planners have to perform. Examples include: assigning cable types based on water depth, maintaining proper spacing between repeaters, maintaining proper crossing angles, avoiding steep slopes, dealing with buffer zones between the cable route and other assets and obstacles in the area, and others. With the increasing computational power and decreasing data storage costs of the latest computers, it is possible to implement these checks in real-time as route planning proceeds. This makes the route planning process more efficient, and more importantly, significantly reduces the risk of errors.